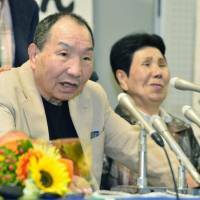 Prosecutors have apologized for concealing critical evidence that might have cleared Iwao Hakamada, the former professional boxer who spent more than 40 years on death row before being released from prison in March, according to his lawyers. The head of Hakamada’s legal team, Katsuhiko Nishijima, alleged at a news conference on Tuesday that prosecutors had admitted making incorrect claims, concealing the existence of photographic negatives showing bloodstained clothes said to have been worn by the culprit. 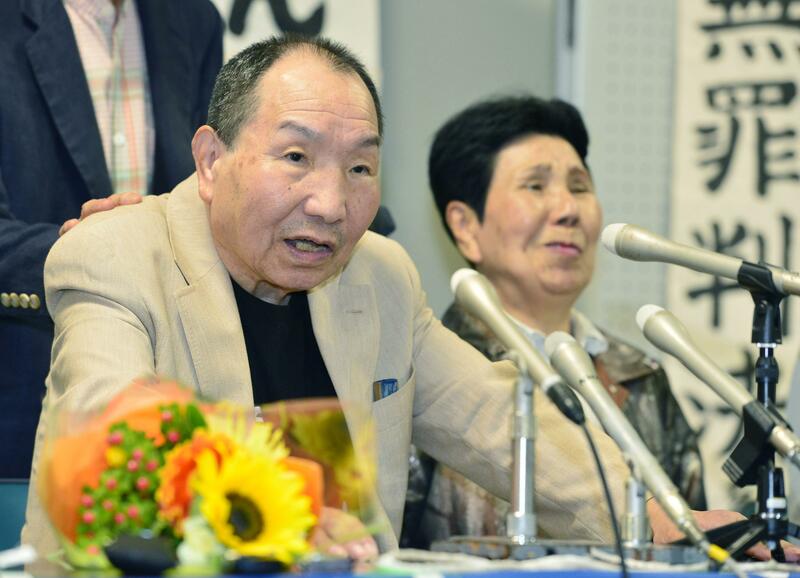 Hakamada, 78, was a live-in employee at a soybean processing company when he was arrested in August 1966 on robbery, murder and arson charges. The Shizuoka District Court sentenced him to death in 1968 for allegedly slaying an executive of the company, his wife and their two children in Shizuoka Prefecture. Five pieces of bloodstained clothing, including a shirt, were found at the company’s plant more than a year later, and became decisive evidence at his trial. But the Shizuoka District Court decided to reopen the case, judging based on DNA tests of the bloodstains that the clothing was not Hakamada’s and had not been worn by the culprit at the time of the murder. The photographs were reportedly taken soon after the bloodstained clothes were discovered inside one of tanks used for soybean fermentation, 14 months after the slayings. The Shizuoka District Court’s decision suggested the evidence could have been fabricated by investigating officers, as the color of the clothes did not look like they had been soaked in miso paste for over a year. “The negatives may be crucial in judging whether the evidence has been tainted,” one of Hakamada’s attorneys said. According to the lawyers, as many as 111 negatives have been found and some of them have already been analyzed by the prosecution. “The evidence was intentionally concealed and we’re not going to leave it like this,” Nishijima said, adding that the information was discovered in a statement that prosecutors issued on July 17. The statement said police were in possession of the negatives and that prosecutors found them after the Shizuoka District Court reopened the case, which led to Hakamada’s release. During the first meeting held between Hakamada’s lawyers, prosecutors and the court on Tuesday at the Tokyo High Court to review his conviction and sentence, the prosecution issued an apology for failing to disclose the evidence, saying they will provide further explanation in a written statement. “We don’t know what else beside the five pieces of clothing we may find in the photographs, but we believe that some of the photographs have probably never been disclosed,” Hakamada’s attorneys said during the press conference. The next meeting between the prosecutors, Hakamada’s lawyers and the court is scheduled for Oct. 23. His lawyers said they plan to respond to the prosecution’s statements by the end of October. Presiding Judge Takaaki Oshima has not specified when the court will issue a final decision.